with guests Dan Whitehouse and Patrick Freeman. Thurs Feb 12th :: upstairs at The Oliver Plunkett :: 8:30pm Adm €8 (+b.f). With a voice that evokes images of a bygone era of American Roots music, Anna speaks directly to the listener with a memorable and honest lyrical approach. Anna Mitchell releases her debut album ‘Down to the Bone’ with a launch show upstairs at The Oliver Plunkett Feb 12th. Having already received national airplay and plenty of plaudits from press & blogs alike for her debut single ‘Let’s Run Away’, Anna released her ‘Fall Like That’ E.P to critical acclaim in 2014 and is now proud to announce the release of her debut album. ‘Down to the Bone’ captures the songwriter confidently moving between soulful Americana , brooding late night ballads and country tinged folk, paying homage to the traditions of the influences that went before while carving out a unique and contemporary space for her voice to be heard. Recorded at Monique studios and produced by Christian Best ( Mick Flannery / O Emperor). The sessions saw Anna sat behind an old Yamaha upright piano, with a 6 piece band sensitively recording assured performances that highlight the mood of Mitchell’s songs resulting in a cohesive collection that reveals an appreciation of the craft of storytelling, songwriting and expression. “The album was recorded and mixed in my friend Christian’s studio over a couple of sessions, We set the band set up throughout his house and recorded the tracks onto an old studer tape machine. It’s a home studio so there’s a lovely calm atmosphere there , the kettle’s always on and there are lots of cats, so many in fact they probably deserve a credit on it album”. Garnering a reputation as a live performer able to capture an audience, Anna has already shared the stage with many celebrated singers & songwriters including Sarah Jarosz , Aoife O’ Donovan, Mick Flannery, John Smith, Duke Special, Lisa Hannigan, Simone Felice and many more. In fact so impressed was the celebrated American poet and songwriter Simone Felice upon hearing Anna he subsequently invited her to join him and his band on the road for a European tour in winter 2014. “I opened up for Simone on his Irish tour at the beginning of the year and was delighted to be invited to join him on a 5 week European tour in Nov and Dec.I got to play in a lot of new places and the audiences were lovely and receptive , I had even sold out of all the copies of my E.p before we were half way through the dates. It was a great finish to a really great year but now I’m looking forward to what’s already shaping up to be a busy 2015”. 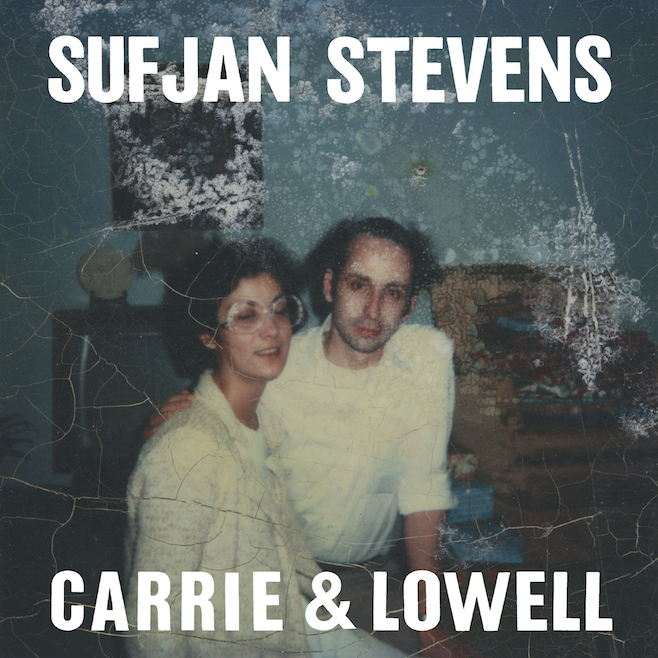 Last edited by Bah; 12-01-2015 at 03:38 PM..
Sufjan Stevens has announced the release of his new album ‘Carrie & Lowell’ in March. According to the press release, the album was named after Stevens’ mother and stepfather, and its songs are about “life and death, love and loss, and the artist’s struggle to make sense of the beauty and ugliness of love.” It’s being billed as a return to Stevens’ “folk roots,” which will be welcome news to his legion of fans. Collaborators on the album include Casey Foubert, Laura Veirs, Nedelle Torrisi, Sean Carey, Ben Lester, and Thomas Bartlett.